From the outside looking in, high intensity functional training can seem intimidating and scary. You may find yourself asking , “Where do I even begin? Can I actually do this? Is this only for people already in shape?” At Townie, we want to make sure we set you up for long-term success with your fitness from the very beginning. That’s why we take every new member through our 1 on 1 Foundations program. Your first day at townie starts with a simple conversation with your new coach. Our first priority is to get to know you! We will discuss your fitness background, what your goals are, and if you have any history of injuries or conditions that might limit the movements you are able to perform. After we get to know each other, your coach will prescribe a series of personal training sessions called Foundations. FOUNDATIONS consists of four (4) Personal Training sessions with one of our coaches, scheduled at a time that fits your schedule. 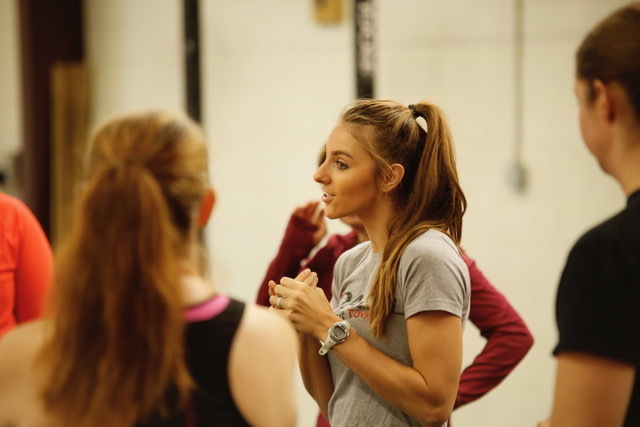 Over the course of these sessions, we will teach you the basics of every major movement we use in our classes. You will learn the proper form, techniques, and where your ability level currently stands in each of these movements. At the end of each session, you will even perform a short workout with the exercises you just learned right there with your coach, who is helping you and encouraging you every step of the way. You are now ready to graduate into our group classes, and may begin training with us as often as you’d like! You are now a welcomed member of the Townie Family!